An online portal which helps raise awareness of sustainability as well as provide helpful tips on sustainable living will be launched by Cairns Regional Council on World Environment Day, June 5. 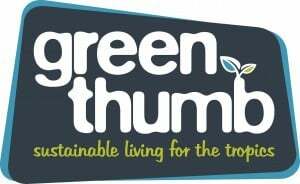 Green Thumb ~ sustainable living for the tropics is a new community engagement program anchored by six discussion topics relating to energy, saving water, reducing waste, active travel, food and shopping and backyard biodiversity. A corner-stone of Green Thumb is the interactive website that enables registered users to comment on forum topics and ask specific questions on sustainable living issues. Maree Grenfell, Council’s Sustainability Coordinator, said that Green Thumb is a new approach to community education and empowerment because it encourages people to share their knowledge with the rest of the community and provide feedback to Council so it can refine its environmental education messages and services. “When you visit the Green Thumb website you’re able to post comments on sustainable living topics, ask questions about household issues and read what others are saying in the community. This is great opportunity for Council to hear from the community and for people to share their knowledge and actions with others” said Maree. “As well as providing a forum for people to talk about sustainable living, Green Thumb also improves access to sustainable living resources such as recycling and composting information, backyard biodiversity tips and bike-path maps to help change the way you move” she said. To encourage participation in the wider community, anyone who registers on the Green Thumb website will go in the draw to win $2,000 worth of sustainable living products for their home. “The idea of the $2,000 prize is to reward people who are engaging with the Green Thumb website with products or services that will improve the environmental performance of their home” Maree said. As well as the interactive website, Council has partnered with Zinc FM to spread the sustainability message to wider community. Green Thumb will also be a focus of the annual Sustainable Living Expo, which will be held on Sunday 14 July at Fogerty Park on the Esplanade, so if you can’t get to the website, come down to the Expo on the 14 July and have a chat with one of Council’s sustainability team. Let’s all get behind Green Thumb and help take sustainability beyond the garden path.